Are you looking for a safe yet fun birthday setting for your child? Or are you sick of planning and not being able to actually enjoy your child's birthday? If so, Eagle Martial Arts is the answer to your problems! 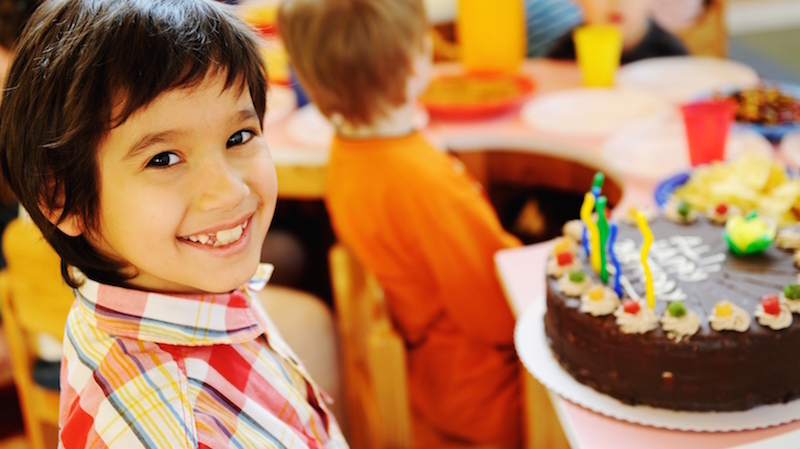 We provide kids of all ages birthday parties that are guaranteed to be a hit with their friends. And the best part? You get to relax and let us take care of all the activities, food, and decorations. Kids will not stop talking about the birthday party because they will have so much fun. Our staff is energetic, enthusiastic, and will go out of their way to create a wonderful experience for every child. It will be one of the most thrilling and entertaining birthday celebrations your family has ever experienced. Each party will be jammed pack full of martial arts themed activities and games, a cake cutting, and pizza! If you are interested in learning more about our birthday party packages, please fill out the short form on the right side of this page. But hurry; spots are filling up quickly! We look forward to hearing from you soon, and can't wait to start planning your child's next birthday.